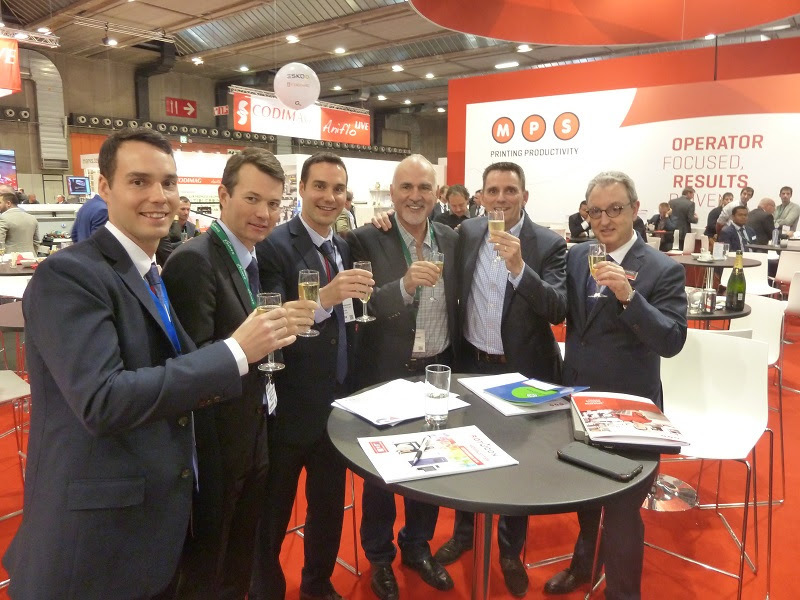 ROTOCON, a provider of consulting and service to South Africa label converters in the narrow web industry has confirmed the signing of a two-fold contract with Zimbabwean printer LabelCo for both MPS and Rotocontrol machines. Led by Patrick Aengenvoort, sales director of ROTOCON, the extensive order marks the first MPS flexo press and Rotocontrol slitter rewinder heading for Zimbabwe. On order is a high-end MPS EF 430mm web width, 8 colour multi-substrate flexo printing press built with an automation package including job memory. Primary features of the Dutch press are GEW UV drying, die cutting, cold foiling unit, film to film lamination option, and Vetaphone Corona treating. Second part of the sale is an RSC slitter rewinder from German manufacturer Rotocontrol. The finishing machine will combine 100% servo motor control, cartridge slitting system, vertical inspection zone, automatic tension control, strobocope and an additional splice table. Established in the mid-80s and based in the capital city of Harare, LabelCo is a locally owned Zimbabwean company which had its beginnings in portion packaging a variety of products. After identifying significant local market opportunity, LabelCo since ventured into label production and offers both flexo and digital printing. Costa Mutzuris, director of LabelCo comments: "As we are entering into shrink film production, the stellar combination of the high-end MPS flexo press and German designed slitter rewinder from Rotocontrol is most suitable to do the job. Both machines come highly engineered and researched to have an excellent reputation as well as back-up service and support from all three companies. It has been a pleasure to work with Patrick and Michael Aengenvoort of ROTOCON, along with Arnaud Fleuren of MPS who provided invaluable assistance and advice throughout this decision process."